Quality Management is an important operation of manufacturing or trading industry. Usually, quality related inspections are carried out during inward of materials, in-process activities pre-dispatch, and Re-QC. In standard SAP Business One, Quality Check is available with limited functionalities. But quality check is more important operation for manufacturing & trading business. 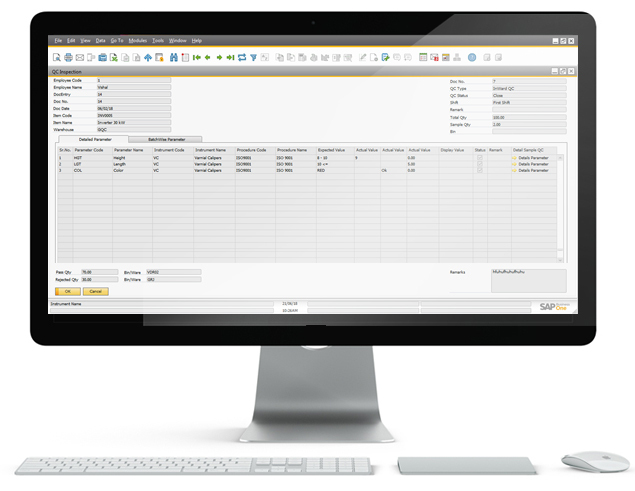 Silver Touch Quality Check add-on comes with integrated solution with SAP Business One to map quality processes. This add-on solution has been developed to serve to different aspects of quality check processes. This add-on solution to SAP Business One facilitates company to track their Quality Check operations on the basis of business or industry specific parameters and actionable information. 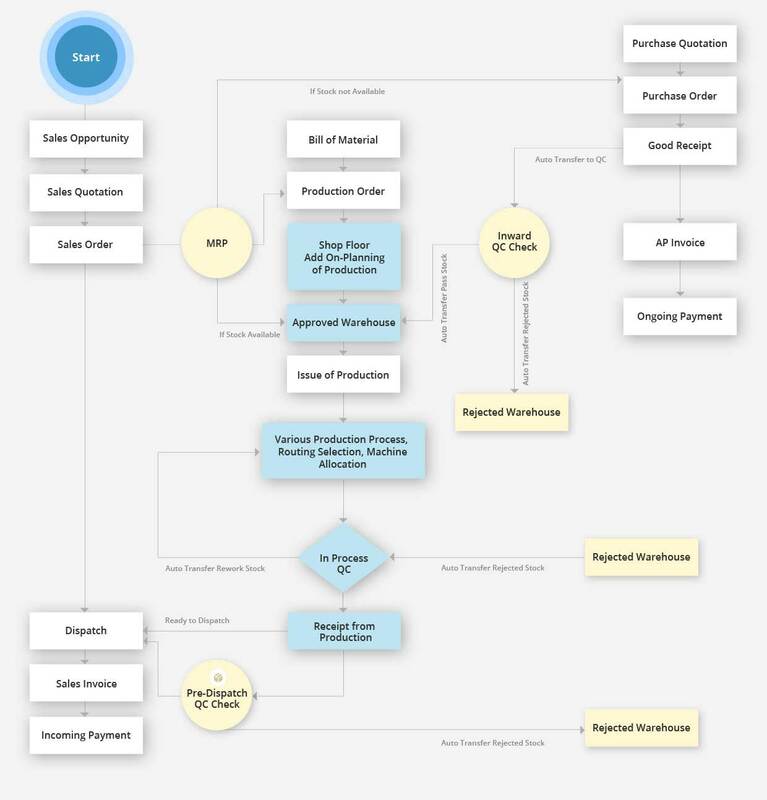 User purchase goods from their suppliers, User will do Goods In transaction in SAP B1 & based on QC configuration, system will transfer goods to QC warehouse. QC department will check QC of purchased goods based on pre-defined parameters. Once this process completed QC department enters “Pass or Reject” details & system will automatic segregate stock accordingly. Sometime stock lies in warehouse. So there may be chance to degrade/corrosion or calibration affects the goods. Hence, Organisation requires arranging re-QC process. QC department will check QC of goods based on pre-defined parameters. Once this process completed QC department enters “Pass or Reject” details & system will automatic segregate stock accordingly. Auto Transfer inventory to warehouse directly based on quality Result. Based on quality inspection transfer inventory to warehouse directly.